If pictures posted by popular rapper, Ice Prince Zamani is anything to go by, it means he will now join the league of celebs who have floated their own fashion lines. 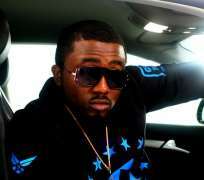 Ice Prince is one artiste in Nigeria that is enjoying all the spotlights being shone on him at the moment. He is one of the most successful rappers in Africa, as well as in Nigeria. The Jos-bred artiste gave a hint about this recently when he posted pictures bearing the title of his about to be released second album, Fire of Zamani. This album will be released later this month. He posted cloths and armbands with the inscription, FOZ, which is an acronym for Fire of Zamani. We could not reach the rapper for comments before publishing this story.